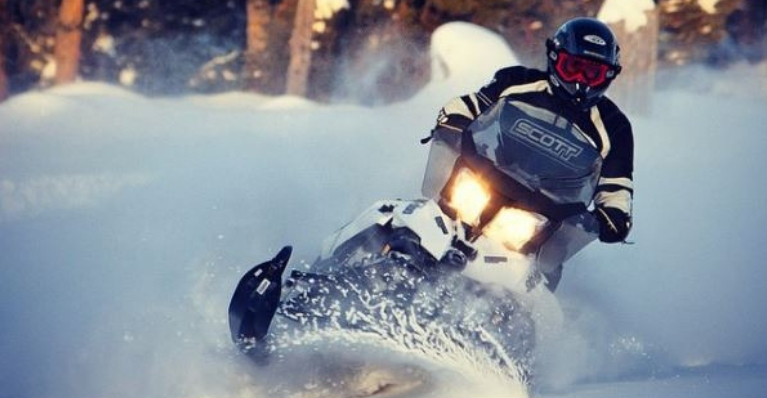 Mix the beauty of the Grand Tetons or Yellowstone with the exhilaration of snowmobiling and you’ll understand why this is one of the more popular White Season activities at the ranch. Situated along a spur on the famous Continental Divide Trail, the area boasts more than 500 miles of groomed trails. Our experienced guides will take you through backcountry that is rated as some of the best snowmobile terrain in the country. Located in Western Wyoming, the Bridger-Teton National Forest offers more than 3.4 million acres of public land for outdoor recreation enjoyment. The area features pristine watersheds, abundant wildlife and immense wildlands. It is also a large part of the Greater Yellowstone Ecosystem – the largest intact ecosystem in the continental U.S.
Bridger-Teton offers nearly 1.2 million acres of designated wilderness to explore and boasts more than 3,000 miles of roads and trails and thousands of miles of unspoiled rivers and streams. Yellowstone during the winter offers the opportunity to explore this national treasure without the typical summer crowds. Numerous options are available for snowmobile tours in the park, including the chance to see the Grand Teton Cascade Turnout and scenic Jenny Lake. We’ll happily book your tour in the park with our partner Scenic Safaris. 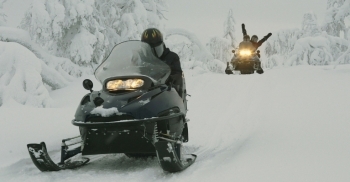 You’ll be riding atop a four-stroke Ski Doo snowmobile that will slice through the snow on a three-hour or full-day tour. The full-day trip includes a stop at a historic lodge tucked away in the mountains or along the trail for lunch. Half-day trips include lunch at the lodge. You can tap into the knowledge of our guides to create a customized tour that meets your interests. No need to worry about packing bulky winter gear. Base layer clothing and a simple outer layer is good enough. We’ll provide a one-piece suit, boots, helmet and gloves. Once you’re finished, you’ll return to the ranch where you’ll be able to relive your adventure in front of a crackling fire and with a warm toddy in hand. You can plan your next adventure during an evening meal created from locally sourced ingredients and expertly prepared by our chef.